I promise, this red obsession will end soon. 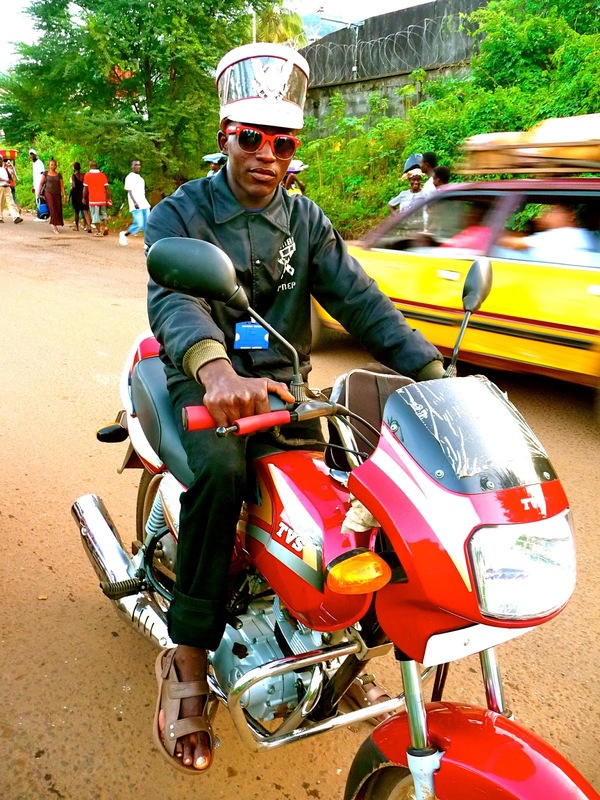 But not before we take a look at the superb theatrics of these outfits worn by two of Freetown's favourite Okada drivers. So much to get excited about with Abdul's Sargent Pepper's themed look. 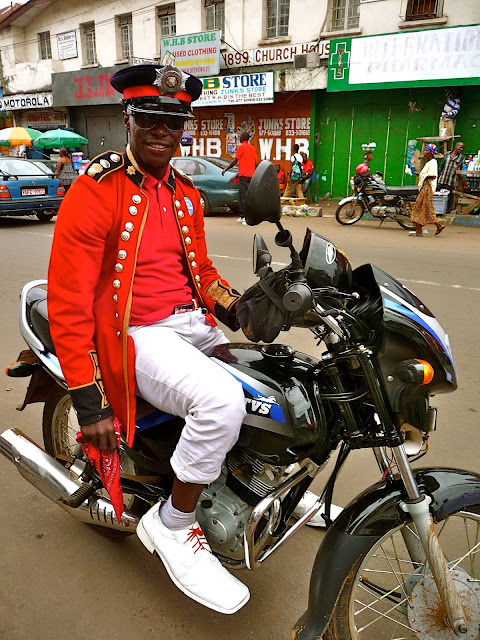 The red coat with the policeman's hat from Kent Police station (on the Freetown peninsula) combined with white shoes and pants give it all a polished finish. You'll never be a lonely heart in this outfit Abdul, girls go nuts for a man in uniform. Mohammed lets us know he's on the red team with his Ray Ban sunglasses, but clearly the star of this outfit is the hat. He had no idea where it came from but my guess is that an insecure 15 year old from the mid west of America made a charity store donation after quitting the marching band when realising it was not going to get him a girlfriend. Such a young and foolish mistake. I bet Mohammed is getting loads of chick action in this hat.